After experiencing increasing numbers in homeschool families in Northern Nevada, Impact Co-op began offering classes in September of 2003. The purpose of the co-op was to build community between homeschoolers and provide educational opportunities for our children. It was our intention that every child from birth through high school would be able to engage in a unique and loving learning environment. Over the years, Impact has offered a diverse class offering. With these classes, families can choose from electives for their children or supplement full academic subjects. We continue to strive each year to provide our families with the tools they need to be successful in their homeschooling endeavors. Our Curriculum Coordinator is always on the search for the best classes and teachers based on our upcoming session needs. IMPACT Co-op teachers range from contracted outside professionals to co-op parents. We strive to have a good balance of topics and aim to have at least 3 class choices per hour for each age group. Many of our parent teachers pick topics that they have experience in providing an excellent balance of different subjects. Some teachers come up with curriculum based on our needs, while others use their ideas and interest to create a class. Parent teachers get priority registration, a teacher discount, and if their child takes a class they are teaching the only have to pay the $7 co-op admin fee! The definition of a co-op is a cooperative society and ours is no exception. Being a part of IMPACT co-op requires a commitment to not only your child, but to all children and families of the co-op. We rely on our volunteers to help in classes, for setup and cleanup and other various tasks throughout the session. All families are required to volunteer each week to keep the co-op running smoothly. Volunteering can be rewarding not only parents, but for the children who get excited when their parents are involved with the co-op. 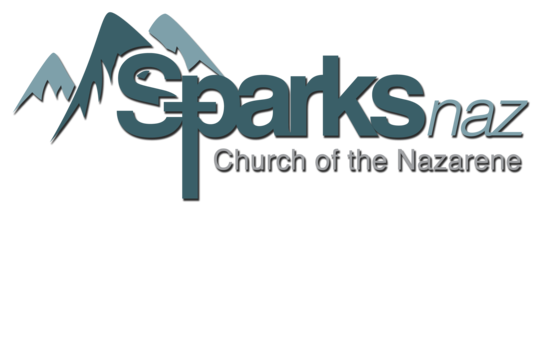 Our co-op is hosted by Sparks Nazarene Church located at 2200 El Rancho Dr. in Sparks, Nevada. Sparks Nazarene Church has graciously offered us many rooms for use which enable us to hold several classes each hour. We have access to a gym and kitchen, which provide an excellent opportunity for a wide range of classes. The parking spots located directly in front of the church (in front of the grass area) are for church business only. Please use the other multiple parking spots available. Please only enter through the worship center doors. The children's center doors will remain locked throughout the entire day. IMPACT exists to bring home-school families together to learn in a loving environment. Our desire is to create an educational experience with all subject matter approached from a traditional perspective. We want to be an encouragement and example for our fellow home-schoolers in all that we do. We believe God is the Creator of all things, perfect and eternal, existing in three persons: Father, Son and Holy Spirit. We believe the Bible is the inspired Word of God, without error in the original writings, and the final authority for all Christian faith and life. We believe all people were created in the image of God, but are now separated from God by sin. Faith in Jesus, based on His death and resurrection, is the only way for mankind to be reconciled to God. By God’s grace, eternal life is available to everyone who embraces personal faith in Jesus Christ. Please Note: Our co-op is non-denominational and we welcome families from all faiths and beliefs. We respect the beliefs of the church in which we are hosting our classes, but by no means is it a requirement to follow any particular religious beliefs. Aside from honoring the church, some of our classes may include religious teachings -- those will be listed in the class description. We started going to impact when I pulled my son out of school in the middle of first grade. He’s now going to be a sophomore in high school! Impact is the core of our week and we enjoy meeting new people and taking/teaching classes! My kids have taken lots of interesting classes over the years at Impact! I’ve even taught some classes inspired by my kids’ interests! I’ll be teaching world geography this year and I’m excited to learn along with the kids. It’s going to be a great year at Impact! It gives my kids another way to meet and make new friends, take a variety of classes and gives Moms a chance to meet, talk and share with other homeschooling Moms. I love how impact gives us the opportunity to experience classes that we may not have known were available to us. Also love to see the array of amazing parents that come together to do what it takes to form this amazing co-op.